Do You Have What It Takes to Be a Travel Nurse? What happens if traveling and nursing merge and becomes a profession? Wouldn’t it be cool to travel around the country while helping people of all ages? Do you want to hone your skills while breaking free from your usual work routine? Turns out, travel nurses do exist and you can work as one here in FRONTIER HEALTH CARE SERVICES LLC. What does a travel nurse do? How does it differ from the regular nursing profession? Do you have to pay to go to your workplace? We can answer all that and more as we get to know this profession. You are helping the country overcome its nurse shortage problem. The United States of America is a country greatly populated by older adults. The increasing number of people ages 65 and above makes nurses highly-demanded professionals. The demand is so high that even our current number of nurses is not enough to cater to the needs of the patients. Being a travel nurse means you get to work on an area for a short amount of time. These professionals often work 13 weeks in one place before being transferred to another. Thus, those places that require nurses do not have to worry about looking for one. 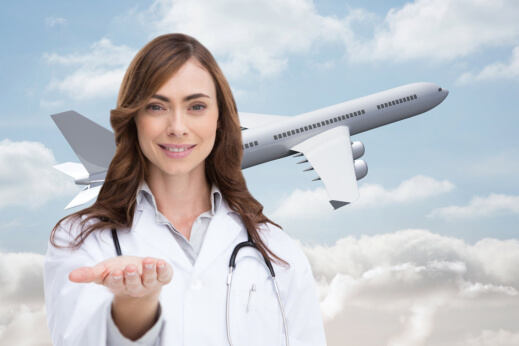 Unlike other nurses who are already assigned to their work areas by their employers or agencies, travel nurses get to choose where they want to work. You can get assigned to locations where you want to live. You can escape the cold winters and work in warmer places. You can even be transferred to humid counties or states if you desire. Are you getting tired of your old routine? You can ask to be transferred right away! You do not have to stick to the same job for a long time. As long as you are done with your minimum time requirement, you are free to be reassigned to your next workplace. Plus, you can also freely set your vacation date. You can earn competitive wages. Do you think travel nurses need to spend their salary for their fare? Nope. Their fare is already paid by their employer or agency. Another point to remember is that if you are providing Home Health Care in Reynoldsburg, Ohio, you can earn the same amount as a regular provider of the same service in the same place. Furthermore, if you are an adventurous spirit, we guarantee you’ll enjoy as you feed your wanderlust while you work. So, do you have what it takes to be a travel nurse? Do you want to know more about our Medical Staffing solutions? Comment below to let us know! You can also contact us for inquiries. This entry was posted in Travel Nurse and tagged Health Aide, Healthcare Professional, Medical Staffing. Bookmark the permalink.